The closest thing we've had to "morning mist" was yesterday's morning downpour. Tough time of year for mist here in Central Florida. The deadline was a week from Monday. So we still have a few more days (and a weekend). We changed the subject matter a bit to "Morning Glory." The mist/dew requirement was taken out because many of us are in locations where there is little. I have been in the same situation as you have in this area. It has been between 90 and 100F for most of the last couple of weeks. It was been cool at 87F yesterday. Well, I guess "glory" is a relative term. I found this Orchard Spider weaving his magical web one morning last week on my back patio. Loved the way the morning sunlight reflected off of his web and created almost irridescent patterns. Here is my contribution, taken this weekend. 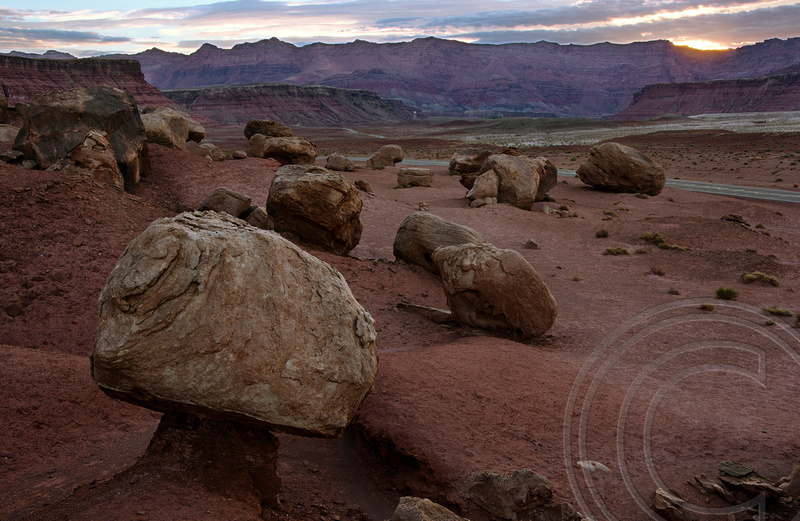 I took this yesterday morning near the Vermilion Cliffs in Northern Arizona. Who won this month's Forum Challenge - Morning Glory? Looks like we have a run off between Daveman and Diane! I would like to suggest we call this a draw. Diane can have the shirt sin ce I already have one, and we can move to next month's contest. I hate to have this be drawn out any more.